Show your pride with these great looking Flag Mounts and Holders. 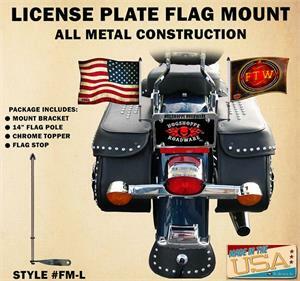 These Flag Mounts are top quality and will last the life of your bike. 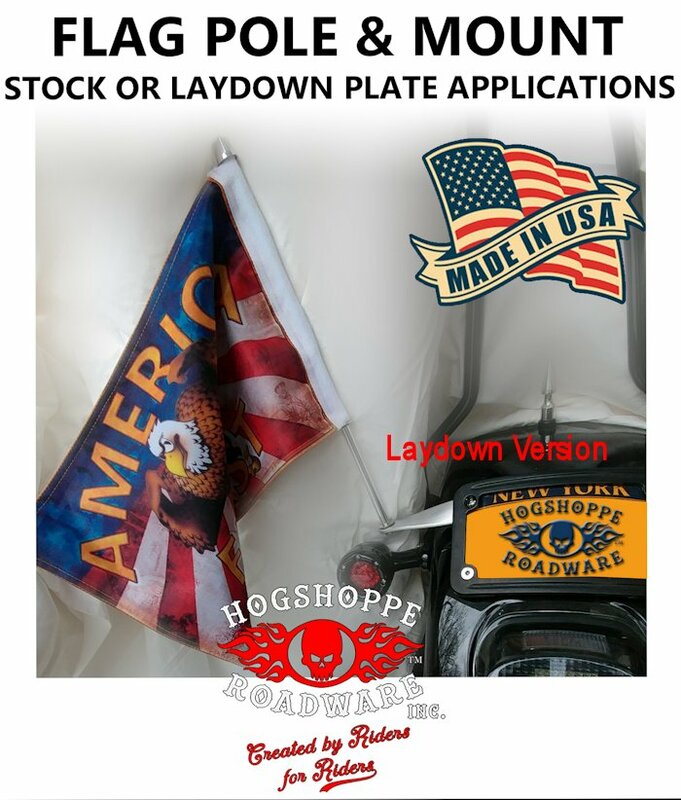 These Flag Mounts will mount either on the right or left side. Sold as one kit (one side). ● 14” stainless steel flag poles with Aluminum Mounts.